1. 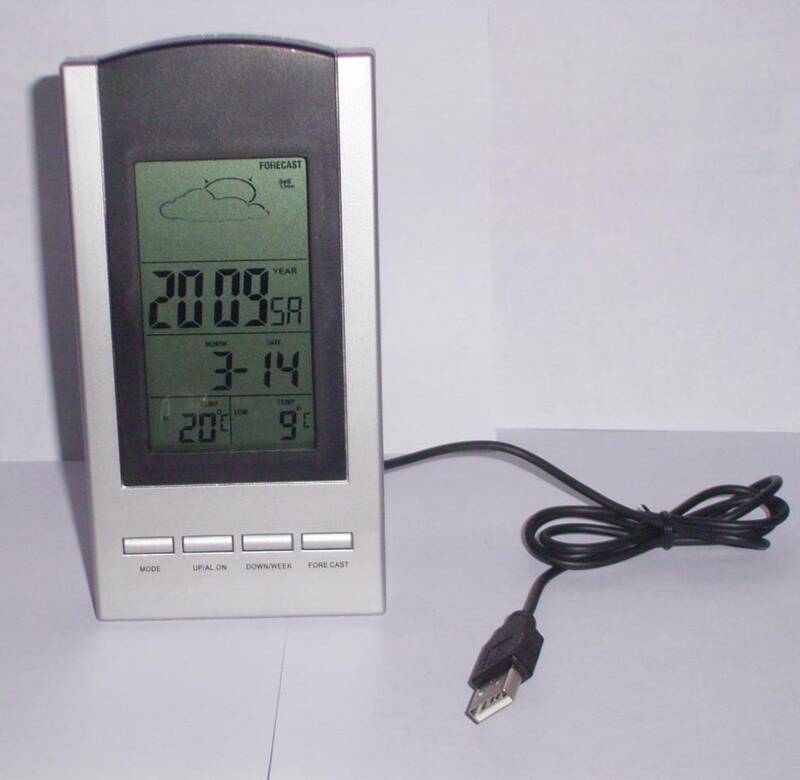 Connected to the website to get 5 day weather forecast by USB Port and updated the time by using the computer's time (Avoid tolerance when adjusting). 2.Calendar display current Hour, Minute, Second/Day of Week, Month, Day, Indoor Temperature and Humidity and Today Weather State. 3. Alarm Function with the current time of Hour, Minute, Second/ Day of Week, Alarm hour and minute, Indoor temperature and humidity, Today Weather state.